Herds of zebra and other plains game migrate within the broader system. Liuwa hosts the second largest wildebeest migration in Africa and also supports globally important bird populations. Bounded by the Luambimba and Luanginga Rivers, Liuwa is characterised by its spectacular flat landscape with wide open spaces. It's seasonally flooded Zambezi floodplain is dotted with slightly elevated wooded islands. The park’s stable and growing wildebeest population of between 30,000 - 40,000 individuals migrate within the broader Liuwa system, moving between the numerous pans and following seasonal burns, most of which are anthropogenic in origin. They are joined by herds of zebra, tsessebe and lechwe, and predators such as wild dog, hyaena, cheetah and lion. The park has a large population of hyaena, with an estimated 230 monitored hyaenas in the park and a population of over 500 in the broader landscape. In the absence of a significant lion population, the hyaena rapidly ascended to the position of apex predator in the park. Other predator species include cheetah, and lions. Interestingly, there is no confirmed record of leopard occurring in the park even though they are the most adaptable and versatile of all predators. We hope one day to catch and record a glimpse of the elusive dappled coat in one of the park’s many woodlands. Many species of antelope are flourishing in the park, including wildebeest, zebra, red lechwe and tsessebe. Crane species are abundant during the annual floods. The park’s extraordinarily diverse birdlife includes many rare and migratory species, including globally important populations of storks, cranes and other water birds. The arrival of the annual floods marks the arrival of a wealth of water birds, and the vulnerable crowned crane and wattled crane are abundant, sometimes forming flocks numbering several hundred. Grassland species include Eastern clapper lark and pink billed lark, with both these subspecies considered to be endemic to Liuwa. Some species thought to be extinct in the park started to make an appearance in 2008, including a breeding pack of wild dog, a herd of roan antelope and several elephant bulls from a park more than 300 km away – a sign of a recovering ecosystem. The lion population of Liuwa, once reduced to one lioness, is slowly growing as a result of reintroductions and the birth of cubs. Threatened water birds include the vulnerable slaty egret and the whiskered tern, for which Liuwa provides the only breeding area in Zambia. In 2007, with financial backing from the Dutch Government (DGIS), African Parks relocated 49 eland to Liuwa and within one year the herd was strengthened through the birth of five calves. During 2008, 16 buffalo were introduced back to the park, and a further 12 in 2011, which have since had several very successful calving seasons. The park’s wildebeest population has grown at an incredible rate thanks to effective law enforcement measures – and all other wildlife species have also shown healthy growth. Lions were returned to the park – a sign of a healthy ecosystem. Several animals, including cheetah and buffalo have been fitted with collars, enabling staff and researchers to track their movements and gather important research data. The park also conducts regular aerial censuses to track wildlife population growth. 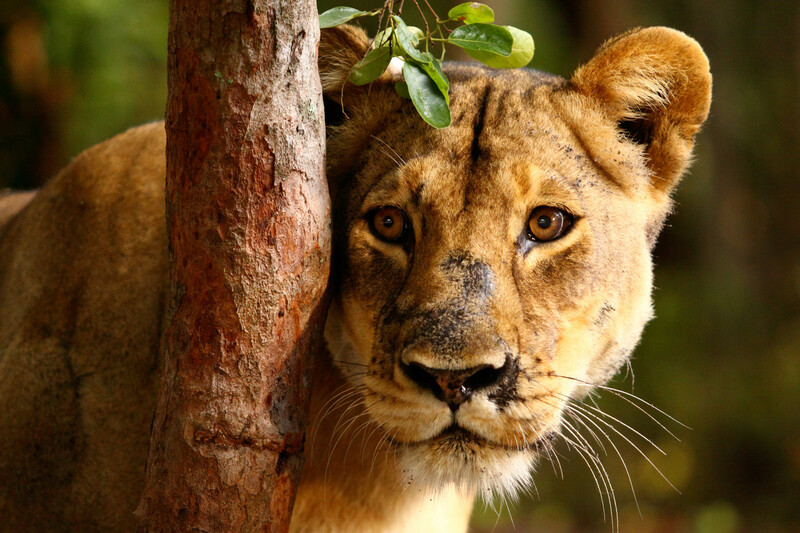 Lady Liuwa was the park’s last remaining lioness when African Parks took over the management of the park in 2003. Her story was captured in an award-winning documentary, The Last Lioness, highlighting the demise of Liuwa’s once thriving lion population and documenting the introduction of two male lions. Unfortunately, she failed to produce any cubs, despite mating, so in mid-2011, African Parks made the decision to introduce two new young lionesses from Kafue National Park as part of a plan to create a breeding population of the species in Liuwa. While one of these lionesses was killed by a poacher, the other eventually went on to have three cubs – the first born in the park in over a decade. In 2017, African Parks successfully reintroduced an additional male lion to improve genetic diversity and two new cubs were confirmed (from the resident male). Sadly, Lady Liuwa passed away of natural causes in August 2017.